Health-food shops, running and cycling magazines and sports stores welcome the handmaidens of detox and clean eating, who together promote chia seeds, coconut oil, almond milk and spirulina as the supposedly enlightened alternative for the “dirty” diners among us (who are also eating rather cheaper). Vast amounts of technology is marketed through the wellness industry, via apps and fitness devices, promoted as a responsible way to “know thyself” better. But, frankly, it makes something which should be fun – good living – into a miserable, competitive, pseudoscientific morass. Keep your perspectives sharp & informed with The Globe's Opinion newsletter. As a family doctor with a keen interest in evidence-based practice, I find our obsession with wellness troubling. This vogue has to be set against a cultural landscape where science is seen as a matter of opinion rather than fact and evidence. Social media have allowed a slew of widely followed celebrities to recommend products and supplements despite having little evidence to justify them. Gwyneth Paltrow’s Goop website is a case in point. Her notorious claims for “vaginal steaming” to achieve an “energetic release” that “balances female hormone levels” a few years ago was debunked by numerous doctors and scientists, but the website is still offering, under “well-being,” such gems as an amethyst crystal in a bottle to put into your glass of water to “infuse water with the power of crystals” and numerous supplements making expensive promises of glowing beauty. Culturally, we don’t seem to appreciate science well enough. The MMR (mumps, measles and rubella) vaccine is safe and effective, yet a fall in vaccination rates has been blamed for 41,000 cases of measles in Europe in 2018 and at least 37 deaths. The wellness industry might seem like a harmless activity that just empties the wallets of the rich – but it is symptomatic of where science sits in society. 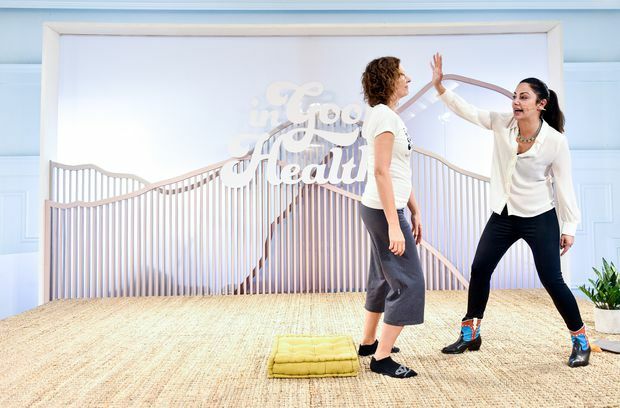 A breathwork class at 2018's In Goop Health conference in Vancouver. This inducement to anxiety breeds profitable markets in the process. Multiple apps offer to monitor how much fluid you drink during the day, even though evidence for the infamous recommendation of drinking “eight glasses of water a day” is lacking. When I went to a new exercise class, I was disconcerted. It ended with the kind of ecstatic exultations I associate with fringe religious groups. We were told that if we felt thirsty, we were already dehydrated – the inference being that we had a serious and sinful symptom of deliberate bodily neglect. Mercifully, though, they had a special offer for a new vitamin-C-infused water. After an hour’s exercise, I should have felt fantastic – instead I was appalled. Why was such a lot of money required to buy fancy flavoured waters when all I needed was a plain glass of tap water and a decent lunch? The worst sin of the wellness movement, however, is “detox.” On an accidental – and single – visit to a “wellness” spa, I was told that the oil was going to detox me of all my impurities and realign my stress and energy levels. It is the kidneys and liver that detox the body, and rubbing fragrant oil – lovely though it is – is not going to get rid of the usual metabolic by-products of the human body. My stress levels were far worse at the end of the massage. Worse are the quasi-medical clinics in spas offering “boosts,” “shots” and “hydration” in the form of bags of intravenous saline and vitamin infusions for a hefty sum. Often overseen by doctors, they commonly use vague claims (such as “boosts well-being” or “assist stress”) when there is no evidence they can achieve anything in healthy people beyond what a good diet would. And while there is no doubt that technology has delivered health benefits to millions – pacemakers, cardiac monitors, artificial limbs – the promise of gadgetry has now exceeded its evidence base. We are now invited to have a “doctor in our pocket” via smartphone apps, and can buy dozens of devices to attach to our wrists or as part of our smartphones, beadily observing our daily step count. It seems like a nice idea, but what seems like common sense often isn’t. That aim of 10,000 steps a day? It isn’t based on science – it’s just a nice, round number. It might be an unrealistically high aim for some people, good for others and not ambitious enough for some. A study published in JAMA (Journal of the American Medical Association) in 2016 examined whether fitness trackers could help with weight loss compared with standard advice. Rather than helping, it found that the group wearing the trackers actually lost less weight compared with the group without them. Another study from Britain, published in 2017, found that teenagers like fitness trackers for the first few weeks, but then complain of feeling guilty and pressured by leaderboards with the most active people. The trackers ended up having the opposite effect – serving to demotivate rather than inspire. Is this kind of self-monitoring actually good for us? We simply don’t have good enough evidence that it is. The idea that we might want to exercise because it is fun and makes us feel good seems somewhat underutilized. Pleasure seems like a sin in the church of wellness. Fitbit Charge 3 fitness trackers with sport bands. Basic fitness trackers are peanuts compared with the new generation of Apple Watches, which chief operating officer Jeff Williams has called the “ultimate guardian for your health.” These watches don’t just detect heart rate but perform a basic cardiograph. The problem is that this is effectively medical screening – looking for a diagnosis in well people. At first glance, it may seem very sensible. Why would you not want “peace of mind," as Apple says? Well: The science of screening is often counterintuitive. First, we know that the watches are not hugely accurate, generating large amounts of false positives – in other words, purporting to find a heart condition where in reality none exists. In practice, this means giving people false alarms and more medical testing – which can serve to increase rather than decrease anxiety. But critically, neither are we sure that screening for atrial fibrillation in well people does more good than harm. Atrial fibrillation can cause blood clots and stroke, and blood thinners to reduce this risk are available. However these also have significant potential for side effects. Yet I am sure that many of the people buying or receiving Apple Watches over Christmas have no idea of the controversy. Sept. 12, 2018: Apple CEO Tim Cook discusses the new Apple Watch 4 at an event in Cupertino, Calif. 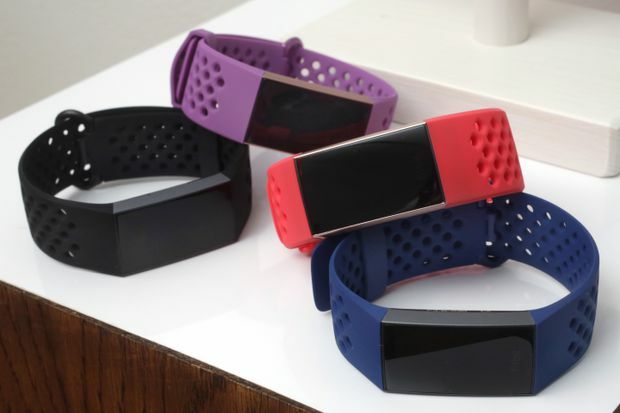 The watch has built-in EKG sensors that let users collect and share heart readings. One might argue that this stuff is not important. If the buyer does not beware, they are only losing their money. What does it matter if people don’t know about the dubious evidence base, the potential for harm, or if they choose to believe in stuff that isn’t scientific? But it is important. First, how we view these issues is a reflection of how and what society knows about science and health. When our scientific knowledge is scant, and when we are capable of being persuaded by flaky claims and seductive advertising, we are on shaky ground. How we deal with the claims of “wellness” is a litmus test for our ability to suss out fake news, or address anti-science myths; for example, that climate change is not real – an environmental catastrophe capable of doing far more harm against our well-being than a lack of amethyst crystals dangling in our drinking water. How society chooses to regulate and monitor health claims is also a good means to know what our medical standards are, and how we protect vulnerable people from false hope. We should be able to rely on doctors to be clear about uncertainties in the evidence and to not overhype claims. This is especially important when it comes to making good decisions about our own health choices – how many people have been harmed from chasing evidence-free “cures” for cancer when their final days and months might have been better spent with family and friends? How much anxiety do we create in order to unethically fulfill medical markets and profits? I have to admit my own foibles. I love my own fitness-tracking watch, and ascribe to the notion that “if it isn’t recorded on Garmin, it didn’t happen.” I am regularly caught admiring my cycling metres of climb. However, in the past couple of years, the only personal bests I’ve scored have been when I didn’t look at my watch and ran to have fun with friends. The irony isn’t lost on me. Of course, the ultimate irony of the wellness industry is that it is aimed at the people least likely to benefit from it. It is not the well-off people with gym memberships, fitness trackers and a regular Whole Foods habit who are most likely to die young. It is the people whose social disadvantage make it more likely that they will smoke, to suffer more of the adverse consequences of alcohol, who have less access to green spaces to exercise, have jobs with less control and often more stress. It is citizens who are most wealthy, and healthy, who are invited to spend their money on accumulating interventions that don’t work. Yet they can paradoxically be harmed and easily become anxious patients as they accumulate the side effects of too much medicine. Marketing and advertising can make people into patients unnecessarily, while people who really could benefit from becoming a patient are left with less resource to do so. This paradox makes everyone sicker. The truth is that well-being is simple, if not straightforward. Don’t smoke, don’t drink excessively, do exercise you enjoy, eat a Mediterranean-style diet with plenty of fruit and vegetables, interact with people, work at a job and hobbies you like, and don’t be poor. The latter, of course, is not a choice. Yet the wellness cult implies that you are responsible for buying your own. We have all heard about the dangers of “fake news.” The wellness industry is just the same – fake science, and we are being swindled by it. Lisa Schwartz, a doctor at Dartmouth College who died in 2018, was a leading light in teaching people how to interrogate health claims. She co-wrote a book, Know Your Chances, which I highly recommend as a way to cut through the nonsense that is marketed to us every day. Wellness is meant to be good for us – not complicated, not expensive and not making us slaves of self-absorption.